The Acro-Cats - a Chicago-based rock band made up of cats - are looking for an assistant to go on tour with them now! Too good to be true? Nope, this is real life - get that resume finished, MEOW! 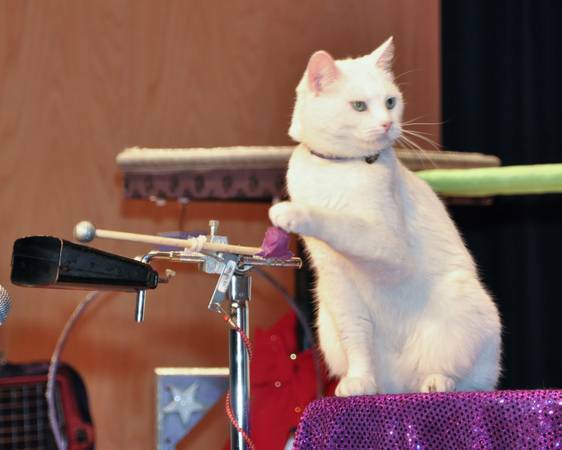 Is your dream to tour the country in a traveling circus cats' rock band show? Silly question - whose isn't?! Sep 12 Check Out New iPhone Game Keety - Put Cheese On Cats' Heads And Win!